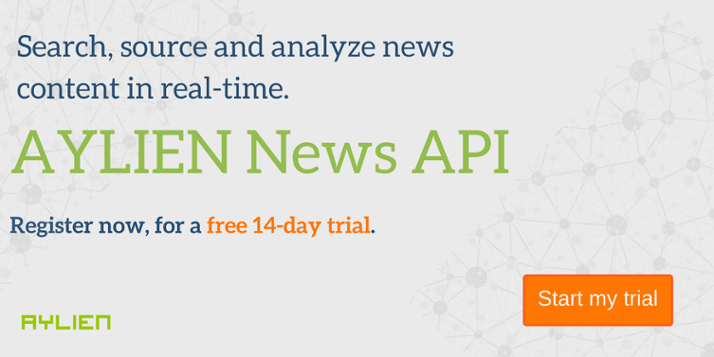 Last month we launched our latest service offering, our News API. Powered by our Text Analysis Engine, the News API enables users to search and source enriched news and media content from around the Web, in real-time, to help understand content at scale while extracting the data that matters most to you. Our News API launch was featured on Tech Crunch – check it out! But no matter what we are building, there is one mantra that we never stray from, and that mantra revolves around Developer Experience. We understand how frustrating it can be working with poorly documented APIs and we know how important “time to first hello world” (TTFHW) is, therefore we strive to make our APIs as accessible and as easy-to-use as possible, and this is why tens of thousands of developers use our products to enrich their apps and projects. To achieve this, our APIs needs to be easy to use, easy to integrate with, and be backed up with the support of clear and simple documentation. With this is mind we are today bringing you SDKs for 7 popular coding languages, each with complete documentation so you can get up and running in no time. Visit our GitHub repo’s at the links below to download your SDK of choice.